Storm Troopers Singing To Let It Go And Other Faves At Star Wars Weekends! In Panda Vision! Friend to TMSM BigFatPanda got this great video during the opening of Star Wars Weekends at Disney’s Hollywood Studios! Panda caught these funny Storm Troopers singing some favorite tunes, including the big smash from Frozen! Click below to check it out, and be sure to subscribe to Panda’s YouTube Channel while you’re there! Thanks and have fun! 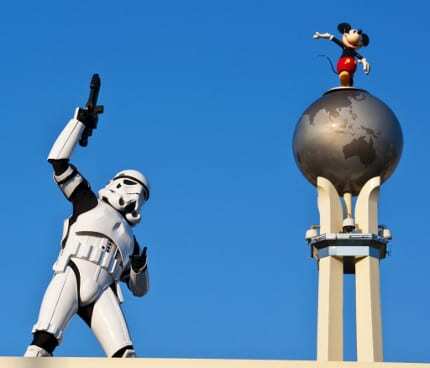 One Response to Storm Troopers Singing to Let it Go and other Faves at Star Wars Weekends! In Panda Vision!